A retired judge from the city of Wuhan, in central China, told the Chinese-language broadcaster New Tang Dynasty Television on July 4 that over 30 years ago the security organs of the Chinese Communist Party began to extract the organs from executed prisoners for transplant. The interview with NTD is unusual in that the judge, Pan Renqiang, formerly of the Wuhan No. 1 Criminal Court, gives his full name and former position, and is still inside China. 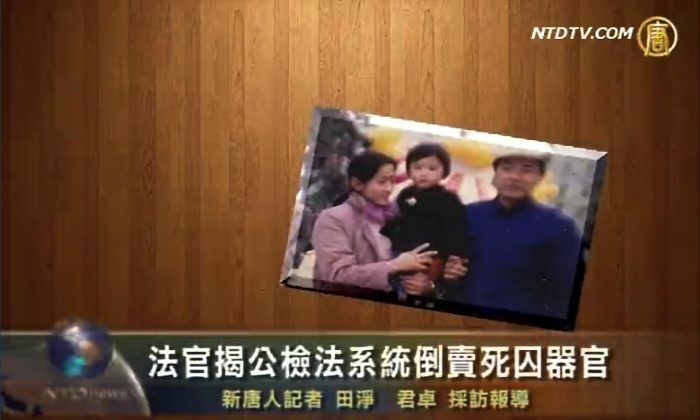 His granting the interview is also a sign that people in China are gaining news and awareness of the organ harvesting carried out by the CCP’s security and military-medical apparatus, a subject that is tightly censored. He also explained the process by which organs are harvested from executed prisoners. Detailed and precise information about this is often difficult to obtain, given that the participants are usually public security officials or were the victims who had their organs extracted. Pan indicates that judicial authorities would know ahead of time whose organs were to be removed. The body was then incinerated. “Public security authorities would send a few dozen police to the crematorium to watch over the process,” Pan said. According to experts, toward the end of the 1990s Chinese security forces began to experiment with Uyghur prisoners of conscience as a source of transplant organs. Years later, they began to extensively exploit another source: practitioners of Falun Gong, a spiritual practice that the Party launched a persecution against in 1999. By the early years of the new millennium practitioners in labor camps and prisons were being killed for their organs, according to investigative reports. They soon became the largest source of organs, according to those reports. Judge Pan spoke to NTD just days after he declared that he officially quit the Chinese Communist Party, in a lengthy interview with Sound of Hope Radio where he laid out his decades of grievances with the regime and what he called his deeply unjust treatment at the hands of corrupt officials and real estate developers. Pan said he joined the Party at age 17. “This Party is a corrupt dictatorship that has lost the public’s trust. It oppresses the people and infringes on their rights. Everyone hates it. Now, more and more people in China really detest the Communist Party,” he said in the interview. Update: The article was updated to include more information about the history of organ harvesting in China. Remarks prepared for the International Association of Genocide Scholars Conference, Siena, Italy, June 20, 2013.